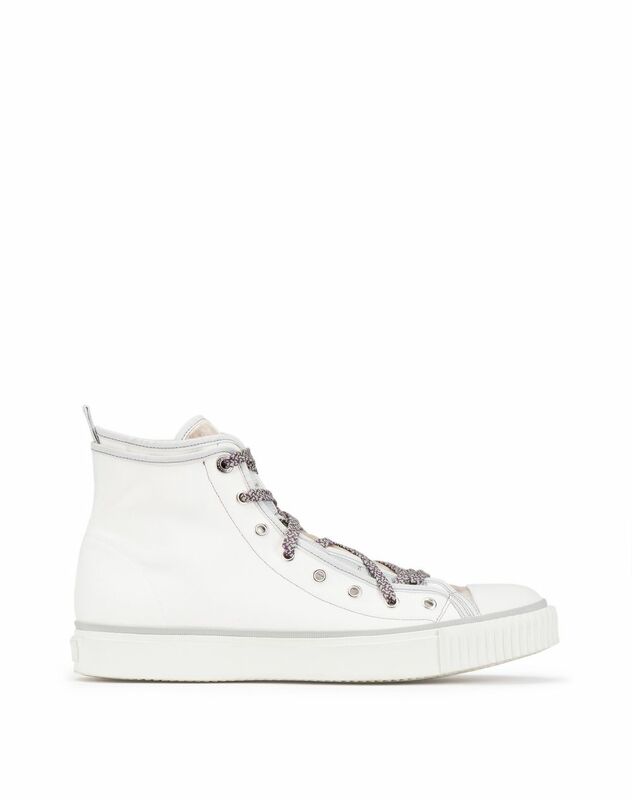 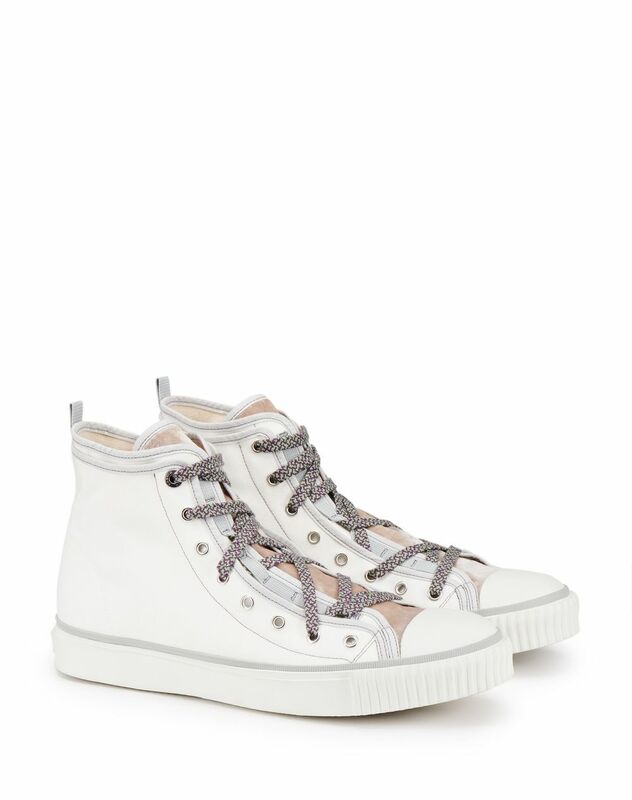 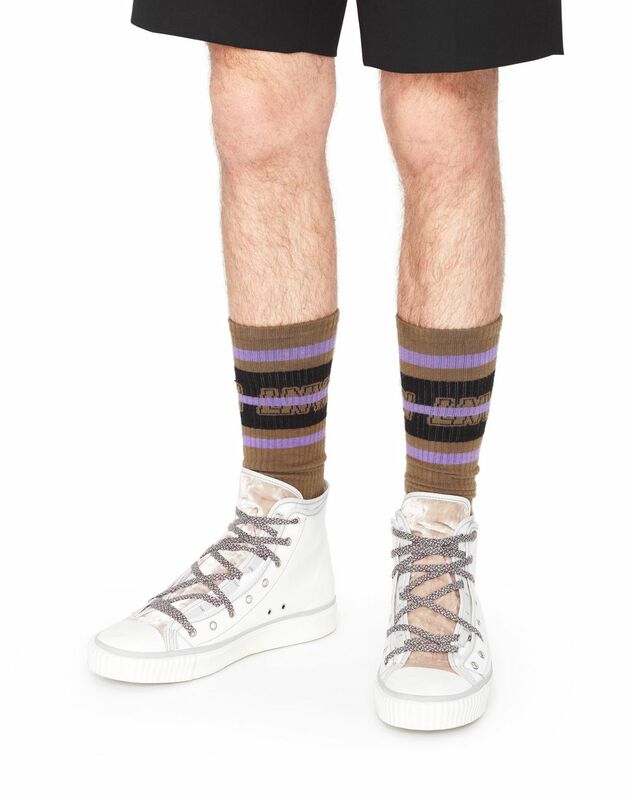 White high-top sneaker in cotton canvas, contrasting matte-effect cap toe, beige velvet tongue, contrasting laces, beige 100% calfskin leather lining, and exclusive contrasting rubber sole. 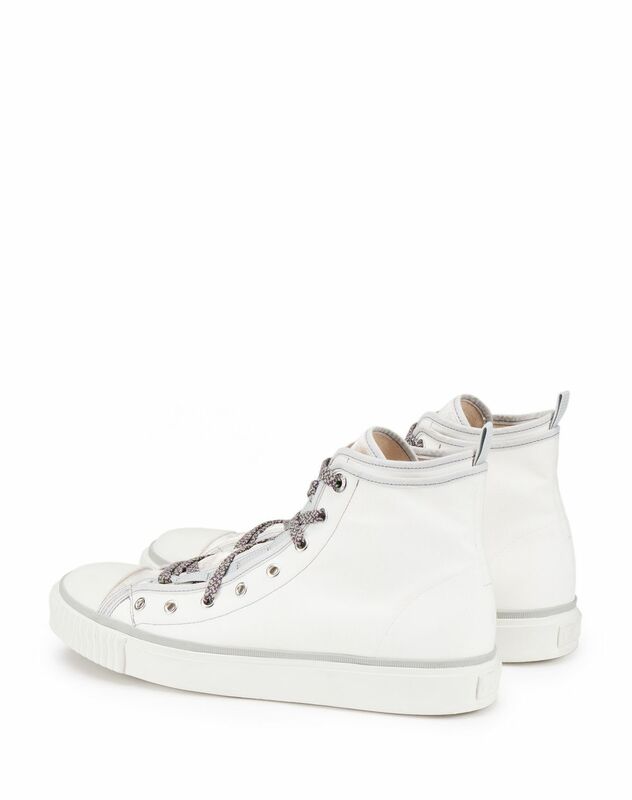 Presented during the Summer 2019 show, this high-top sneaker is the perfect combination of sportswear, tailoring, and signature expertise. 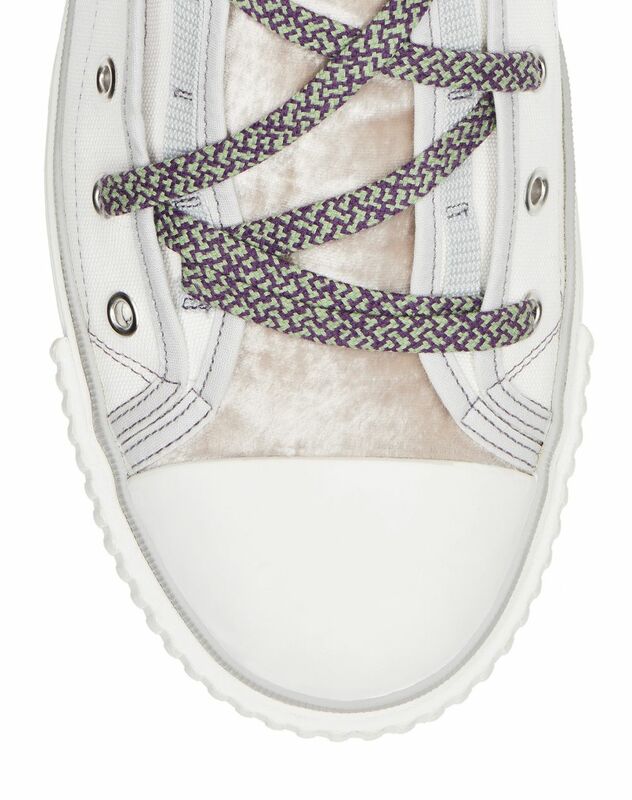 The precious velvet inset detail paired with the subtle seasonal color combinations and graphic laces make this design a must-have from the collection.